Never judge a book by its cover. 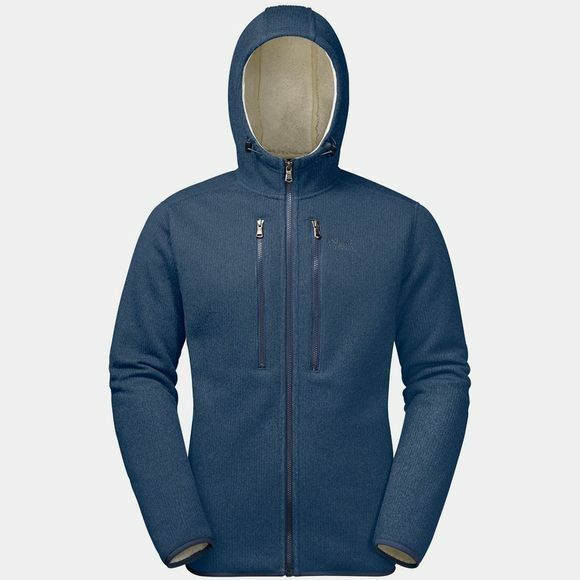 The Mens Robson Jacket from Jack Wolfskin might look like a simple knitted jacket, but there's more to it than that. 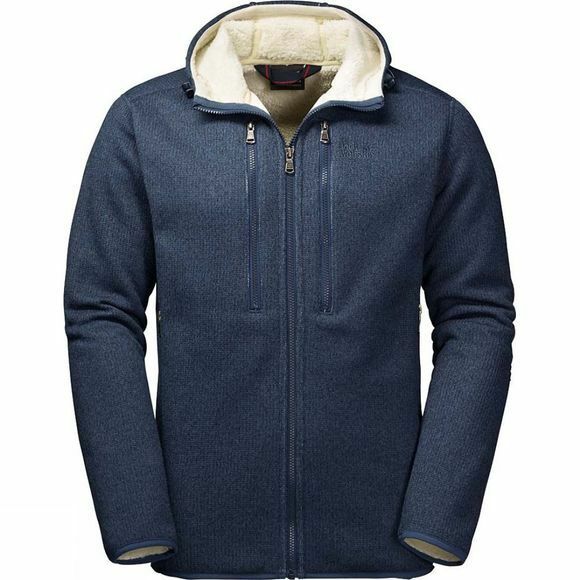 It features a high-loft fleece reverse side. It's precisely this combination of chunky knit and fleece that makes it so warm. If you suddenly discover you've forgotten your hat while you're wandering around town, don't worry–the hood also benefits from the same fleece lining, so it keeps your head nice and warm.